Go on a journey with Robert O'Byrne as he brings fascinating Irish ruins to life. Fantastical, often whimsical, and frequently quirky, these atmospheric ruins are beautifully photographed and paired with fascinating text by Robert O'Byrne. Born out of Robert's hugely popular blog, The Irish Aesthete, there are Medieval castles, Georgian mansions, Victorian lodges, and a myriad of other buildings, many never previously published. Robert focuses on a mixture of exteriors and interiors in varying stages of decay, on architectural details, and entire scenarios. Accompanying texts tell of the Regency siblings who squandered their entire fortune on gambling and carousing, of an Anglo-Norman heiress who pitched her husband out the window on their wedding night, and of the landlord who liked to walk around naked and whose wife made him carry a cowbell to warn housemaids of his approach. 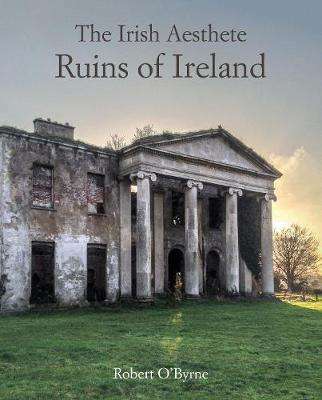 Arranged by the country's four provinces, the diverse ruins featured offer a unique insight into Ireland and an exploration of her many styles of historic architecture.